In order to determine the optimum heating rate for the planned microgravity experiments on the International Space Station (ISS), axisymmetric 2D numerical simulations were performed under the zero-gravity condition to investigate the effect of heating rate on the dissolution process of the seed and feed crystals in a sandwich system of InGaSb. The simulation results showed that the dissolution lengths of the seed and feed crystals are strongly affected by heating rate. A higher heating rate leads to larger feed and seed dissolutions. 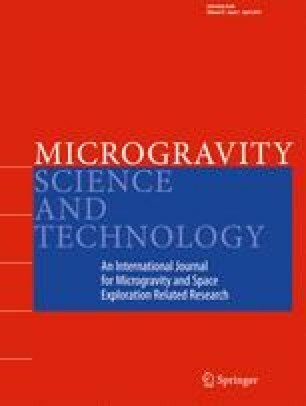 Simulation results suggest that the microgravity experiments on the ISS should not adopt a heating rate higher than 3.6 K/h in order to avoid a complete dissolution of the feed and/or seed crystals in this sandwich system. In this research work we used the supercomputer of ACCMS, Kyoto University (project ID: EX18608).